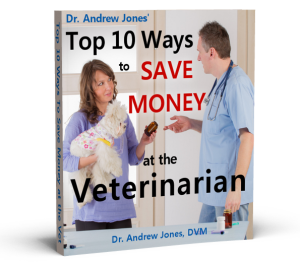 In this podcast Dr Jones tells you about specific home remedies that you can use if you, or your pet is experiencing dental pain. The WHO is considering reclassifying a commonly used safe anesthetic drug, Ketamine- you should be aware of this and let your vet know that you want them to advocate to keep it. 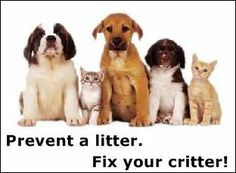 Lastly suggestions about what we can do to SOLVE the pet overpopulation problem. Subscribe Free to Veterinary Secrets Podcast on iTunes, and I’d LOVE a RATING and REVIEW! Interesting, but I have a technical comment. You’re speaking way too fast or running lots of information together. It even sounds like you’ve purposely edited out every single breath pause 🙂 I’ve noticed this in your instructional videos and audios as well. This makes it difficult for listeners to assimilate all the details, especially when you’re *listing* things like ingredients or amounts and what each is for, or steps in a particular method or procedure. Having made a career in broadcasting, I’ve come to realize how much it helps to slow down, breathe and make it a conversation. Excellent advice about dental problems in cats and dogs and how to alleviate their pain until you can get them to the vet. The podcast is very interesting but you need to slow down a little especially when it come to medicines or herbs you can use with cats and dogs, what for and the amounts to use. Try to talk like you are having a conversation with someone and then you will do much better. All the advice is very good. I totally agree with the above comments. I tried to listen to the video on safe anesthesia and what to make sure your vet does before the procedure. You spoke so fast and packed in so much info, that I couldn’t get any of it on paper to check on my own vet. If this is your speaking style, you might consider joining a group that practices public speaking, or have someone else do your videos. The info was all great, but what good is it if it’s presented in a way that makes it impossible to remember?